Tucked away at the end of Horizon Way with ocean & river & lake views. 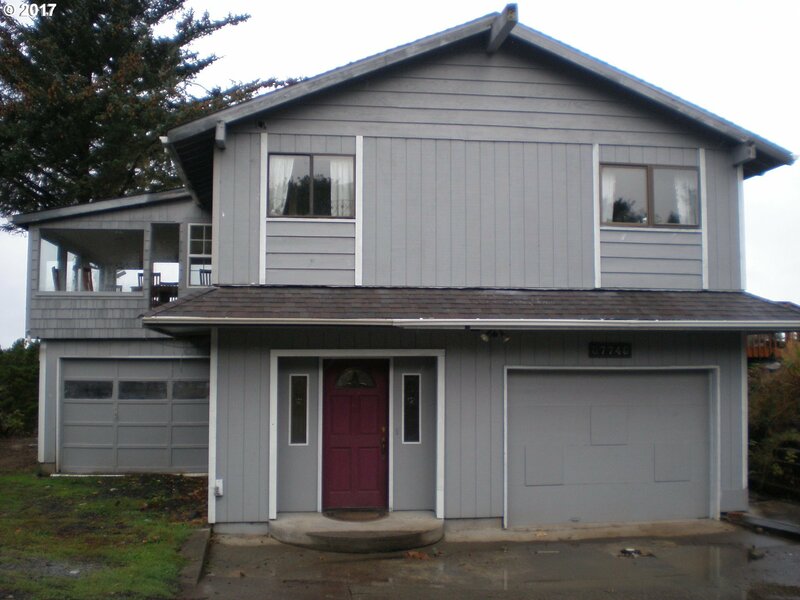 Custom built 2 level 2 bedroom 2 bath with two garages. Knotty pine ceiling, wood stove + pellet stove and all kitchen appliances + washer and dryer. Unique driveway to lower level garages and upper front door. Ceiling fans on each level. River views from enclosed sunroom. Deck on west side. Unique vent/fan to take heat from upper to lower level. Storage building.